I don’t know about all of you, but when I was growing up, my mother used to make these on a regular basis. Now I do the same and enjoy every minute of it. 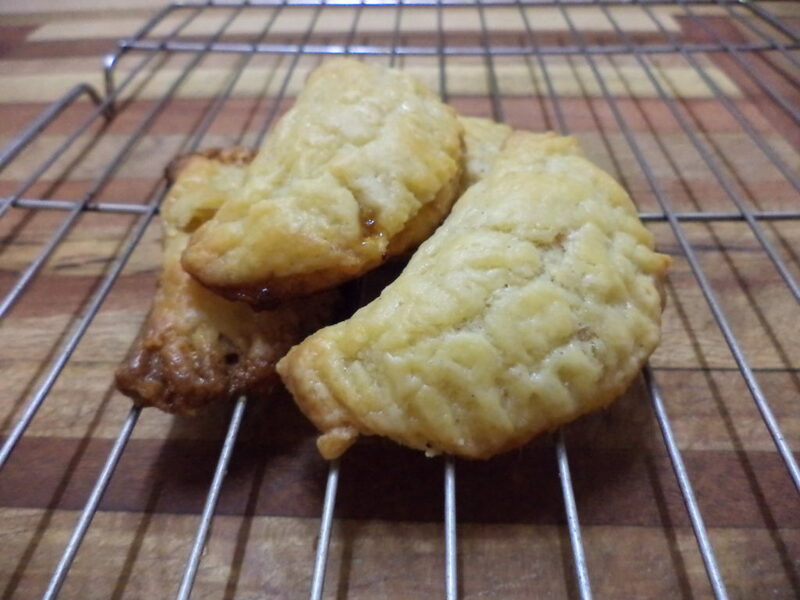 Handtertjies is a very soft flaky pastry filled with apricot jam and baked until light brown. It tastes great when it just comes out of the over, but can be enjoyed either warm or cold. 2. Mix the water and fold in with a knife..
3. Bind the dough, cover with a cold wet cloth and leave in the refrigerator for about 30 minutes. 4. Roll out the dough and use a round shaped cookie cutter. Place one or 1/2 teaspoon of jam in the middle and fold over, making a half moon. 5. Press around the outside with a fork. 6. Smear milk on the top and bake in a pre-heated oven at 200 degrees Celsius for about 15 – 20 minutes, until light brown.